On 14 June 1940, the German Blitzkrieg rolled into the French capital and would begin a near-four year occupation until the city’s liberation by the Allies on 25 August 1944, near the end of World War 2. 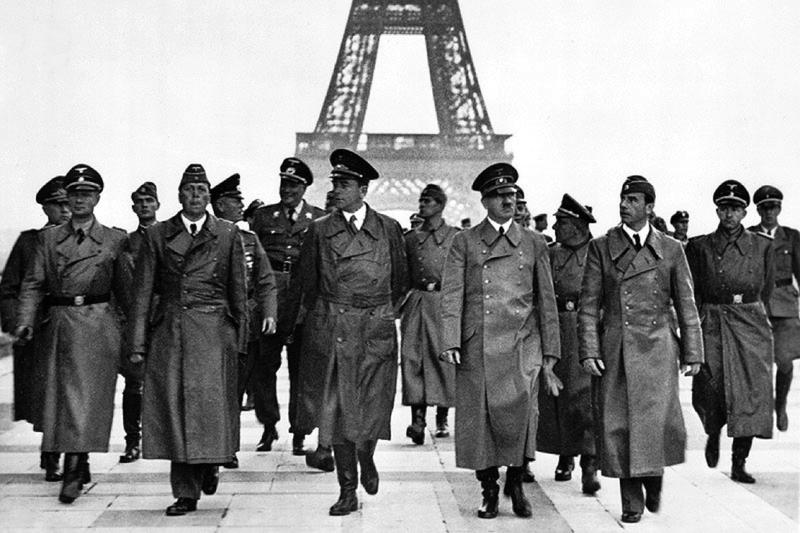 Unknown to many, Paris, ‘the city of love’, was nearly burned to the ground by the Nazis. By August 1944, the Nazi war machine was in full retreat. Eager to leave his mark on Europe, Hitler demanded that the Nazi Governor of Paris, Dietrich von Choltitz, raise every religious building and historical monument to the ground. Luckily, the general disobeyed the order and the German forces in Paris surrendered to the liberating forces. Some contemporary historians believe that the broken Wehrmacht had no power to destroy the city even if Choltitz had accepted the order but chillingly, the allies found several bridges and monuments wired with explosives. Thankfully, the general never ordered that the fuses be lit. Paris in the Second World War was the polar opposite to somewhere like Stalingrad. The Soviet city was completely ravaged after some of the fiercest fighting ever seen while Paris, although bruised was in no way battered. Choltitz himself was no stranger to war crimes (he ordered the destruction of other occupied cities and reportedly assisted in the execution of Jews). This makes the general’s defence of Paris even more surprising. Choltitz himself has been quoted as saying that he disobeyed because at this point in the war he knew the Führer was insane.